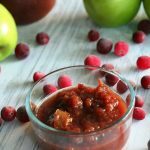 Slow Cooker Cranberry Applesauce is an overnight slow cooker recipe & delicious served over oatmeal, pancakes, and waffles as an alternative to syrup! Not only is it really tasty but it’s a recipe the kids can help make. My kiddos love to go to town chopping up the fruit and getting all the ingredients into the slow cooker. They are always so excited to see what the applesauce looks like when they wake up and are so proud of their food. When cranberries are in season I always make sure to stock up on them and store them in my freezer. They keep really well in the freezer and I love to find fun ways to use them in my cooking throughout the year. 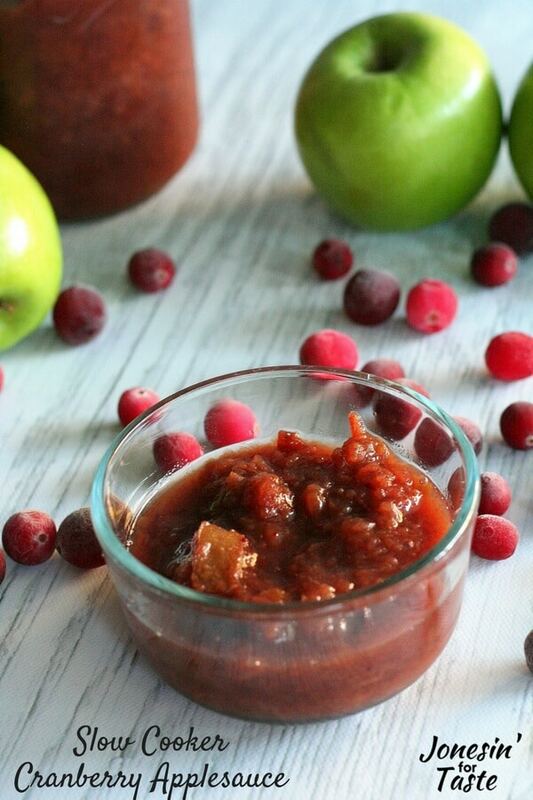 I made this Slow Cooker Cranberry Applesauce with my daughter one day over the break. She helped me by chopping up all of the apples. It was a lot of work for her but she loved taking part in the prep work and was so proud of the final result. 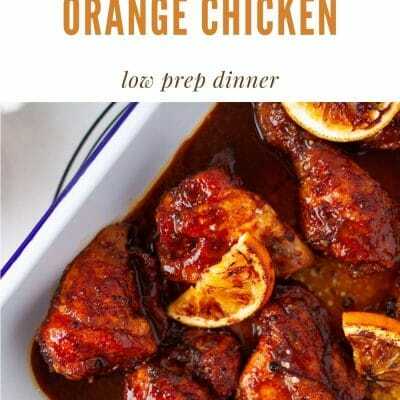 Utilizing the slow cooker means this is a perfect overnight dish to make. Start it the night before and it will be ready for breakfast. I love homemade applesauce because it doesn’t come out perfectly smooth. I love having it be just a little bit chunky! This is terrific for topping over oatmeal or yogurt and my in-laws love applesauce on their pancakes and waffles! It’s a great alternative to syrup and I think way more flavorful anyways! I stored all of the applesauce in canning jars, let them cool for a bit on the counter, and kept them in the fridge. I can’t tell you how long they would keep for because we ate through multiple jars in a week. It was such a hit! Combine all ingredients in a slow cooker. Cook on low for 6-8 hours. 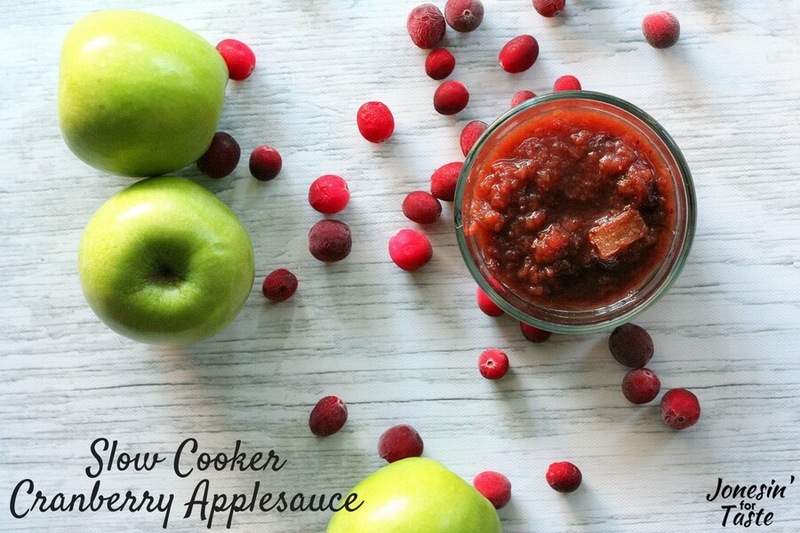 Stir well to break up the apples and cranberries to achieve an applesauce consistency. Allow to cool slightly before serving. Don’t forget to check out all of the other great recipes for this Ultimate Recipe Challenge! 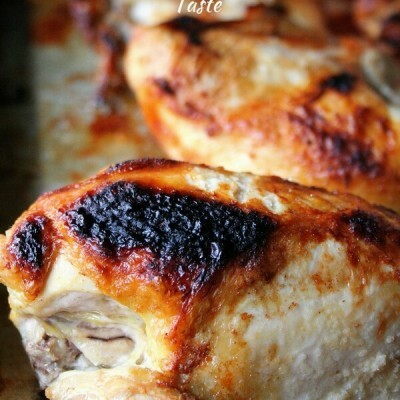 This looks fantastic, and slow cookers are always a good idea, lol! We do a lot of breakfast for dinner at my house, and it would be great to turn these on in the morning and enjoy by evening. Pinning now, thanks for sharing! 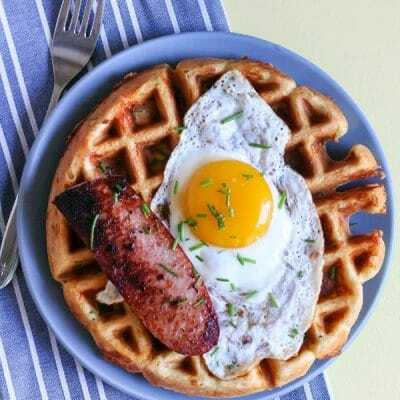 I love breakfast for dinner! Anytime I can use my slow cooker for a meal is great!